I’ve been to a many a summer BBQs in my life, including many hosted by my parents when growing up, but nothing like the one my friends S & I hosted this past weekend. It was a food gourmand’s paradise. 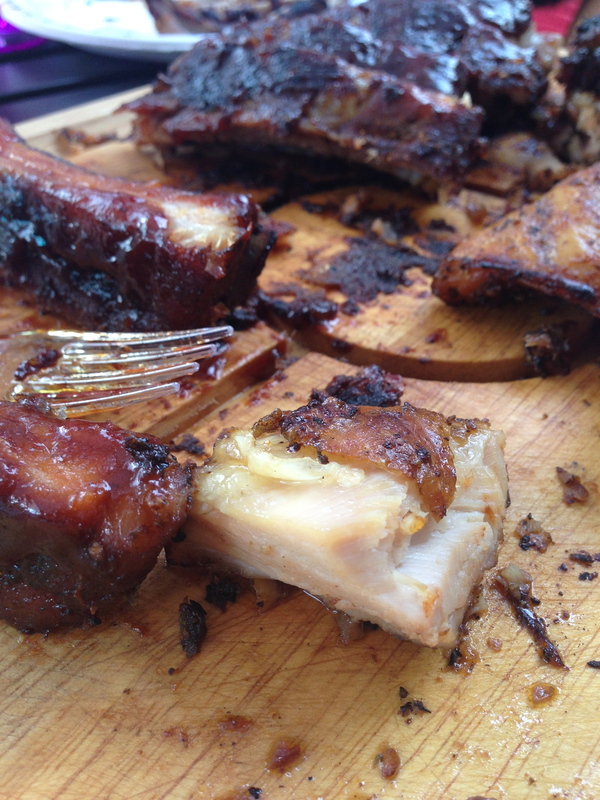 This BBQ had a bit of everything – from smoked meat to marinated pork belly to meatballs. I literally starved myself all day in anticipation and boy, am I glad I did. My favourite dish of night, the homemade bao! I’ve tasted good bao at restaurants but nothing like this. 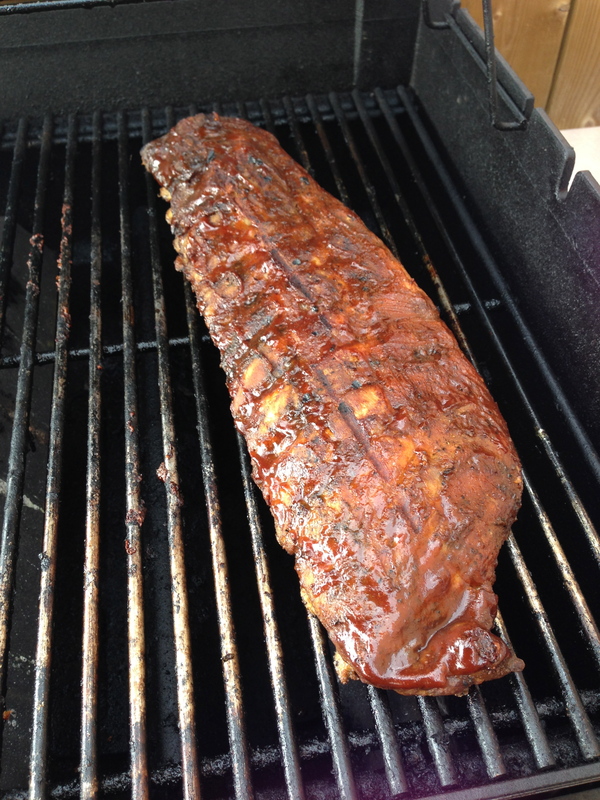 The pork belly was soaked in a homemade marinade, sliced and then seared on the BBQ. 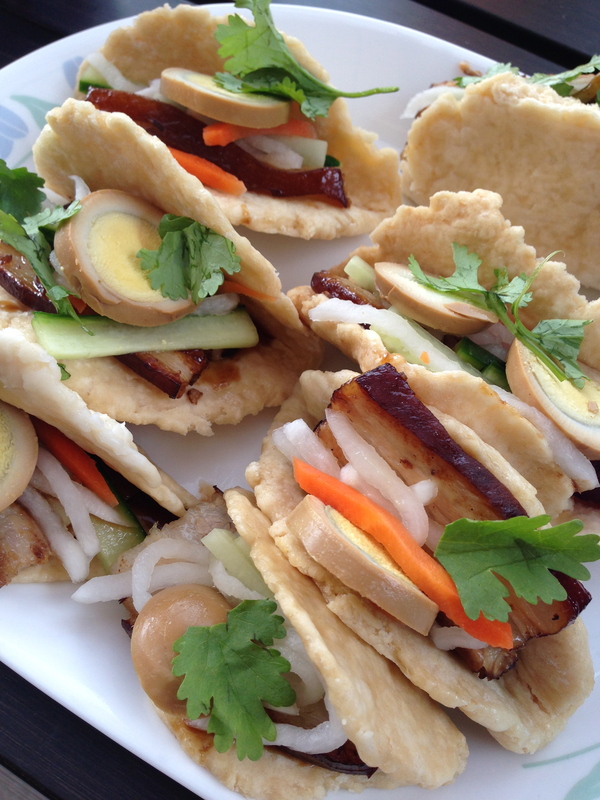 Also inside, sliced boiled eggs marinated in a housemade soy dressing and pickled daikon, carrots and cucumbers. Topped with cilantro and all sandwiched within the bun, made with a homemade dough and steamed fresh. It was absolutely refreshing, hitting all the sweet, salty and sour notes. 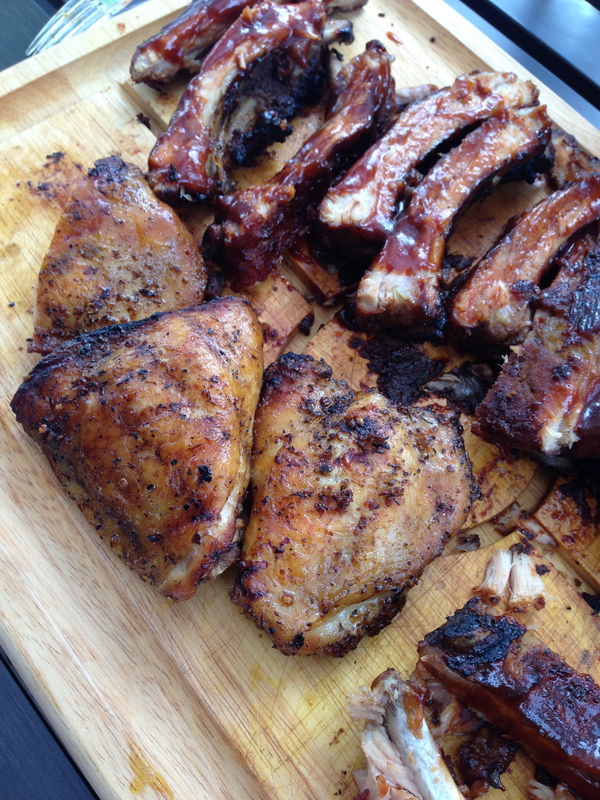 Bao wasn’t the only dish served, there was a smorgasbord of meats: smoked chicken, smoked BBQ ribs, BBQ chicken wings with a homemade rub (with jerk spice notes) and asian style meatballs. To top it off, grilled pineapple – golden pineapple tossed in brown sugar and cinnamon then grilled on the BBQ, a great ending to a fantastic night of food and friends. Thanks S & I! 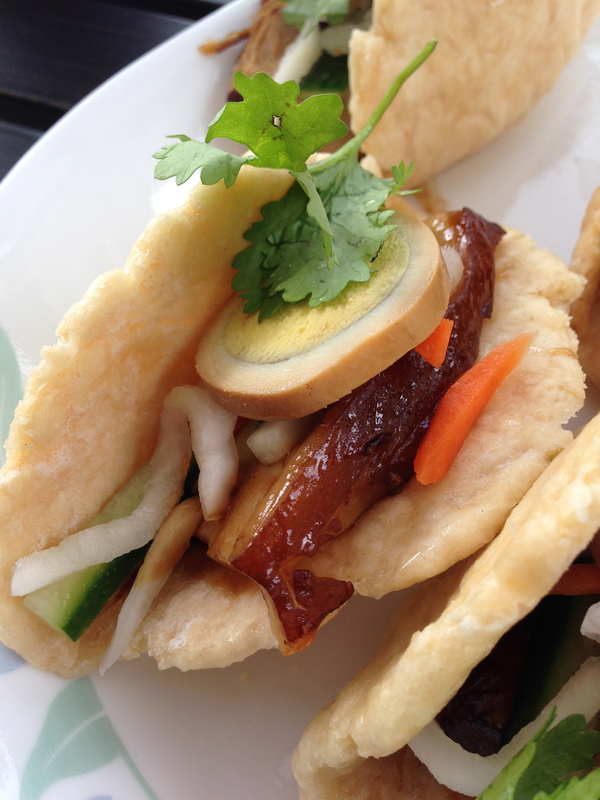 Homemade bao stuffed with marinated pork belly – delicious! 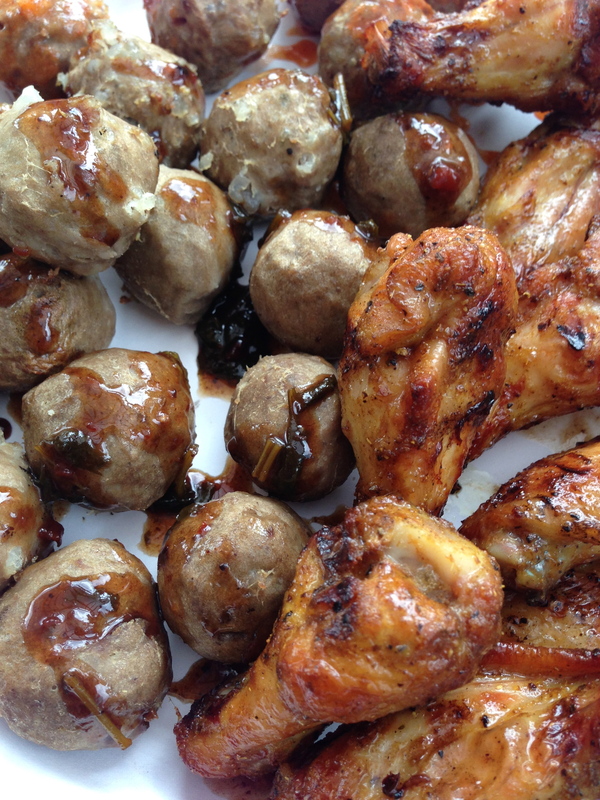 Asian meatballs and BBQ wings. 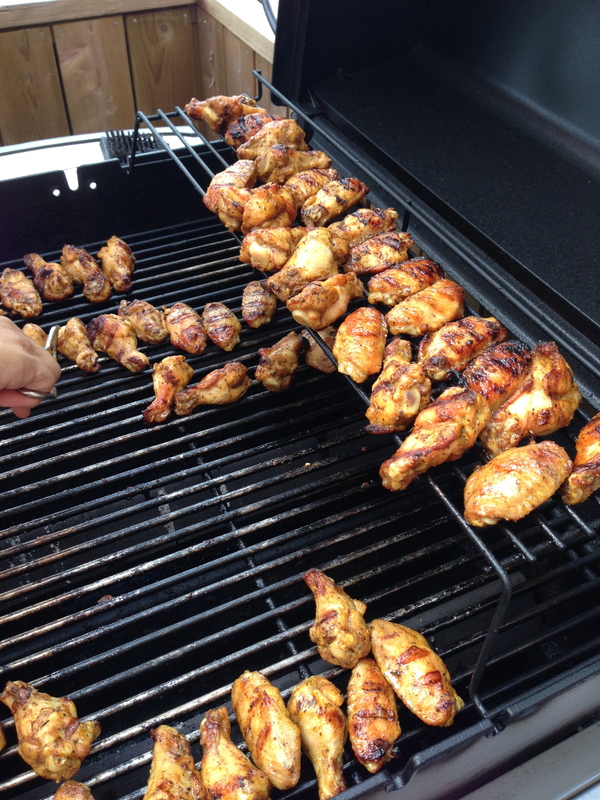 Spicy chicken wings with homemade spice rub. 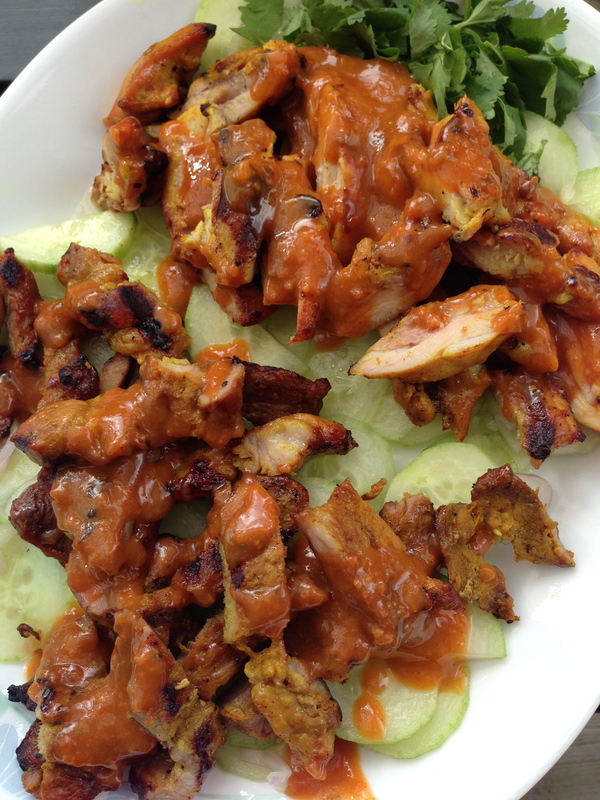 Homemade pork and chicken satay. 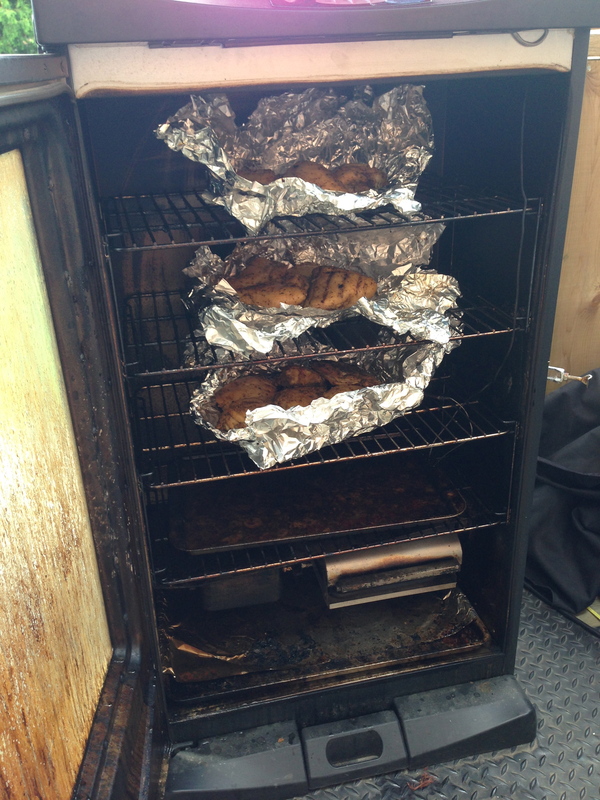 A closer look at the smoked chicken and its bark. 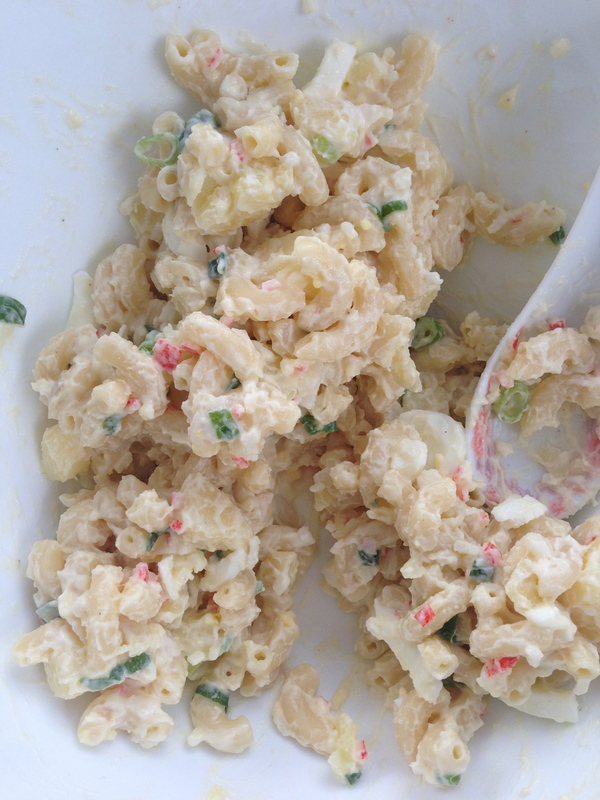 Homemade potato and macaroni salad.